The carotid sinus is located in the lateral wall of the common carotid artery (a. carotis communis) just above the origin of the carotid body artery. 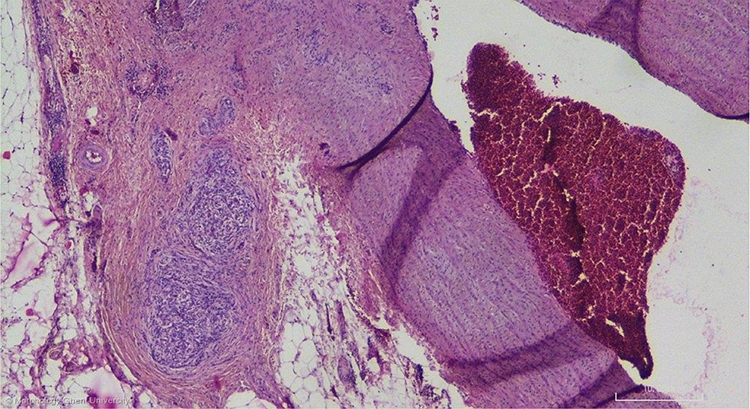 In this zone, the adventitia of the common carotid artery is much thicker and the media contains groups of epithelioid cells analogous to the cell types in the carotid body. The carotid sinus probably plays a role in baroreceptor activity.